Obituary for Phyllis J. 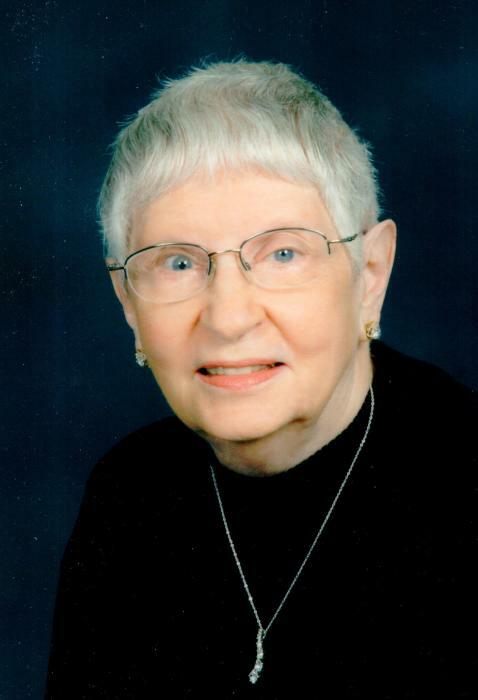 (McClure) Penrose | Hartzler-Gutermuth-Inman Funeral Home Inc.
Phyllis J. Penrose, 91, of Elkhart, died Tuesday, January 15, 2019 at Hubbard Hill Estates. She was born to the late Frank J. and Ruth A. (Troyer) McClure on May 25, 1927 in Mishawaka. Phyllis married Morris N. Penrose on October 19, 1951 in South Bend. He preceded her in death on May 26, 2005. She was also preceded in death by her sister, Alice Rickert. Phyllis was employed for 21 years at the Pierre Moran Branch of First National Bank, retiring from Ameritrust Bank in January 1990. Phyllis was a member of Faith United Methodist Church (coming from the former Simpson UM Church). She was past treasurer of AARP, Chapter 848; Treasurer of Esther Circle and Treasurer of the J.O.Y. Group both at Faith United Methodist Church, and Treasurer of Hubbard Hill Estates Auxiliary. She enjoyed reading, playing cards and Wii bowling. Phyllis is survived by son Steven (Sandy) Penrose, Elkhart, daughters Marcia D. (Roger) Korenstra, Syracuse, IN and Cheryl A. (James) Roush, Ft. Wayne, 3 grandchildren, 4 step grandchildren, 1 great grandson and 10 step great-grandchildren. Visitation will be held at Hubbard Hill Estates on Saturday, January 26, 2019 from 10:00 AM to 12:00 PM with funeral service immediately following. Rev. Tim Henke will officiate and burial will be in Chapel Hill Memorial Gardens in Osceola, IN. Memorial contributions can be made to Faith United Methodist Church, 22045 CR 18, Goshen, IN 46528 or Hubbard Hill Estates, 28070 CR 24, Elkhart, IN 46517.